This bench top accessory keeps small parts accessible and all in one place. 6" (15cm) in diameter and featuring an extra strong magnet, the MB-1 is available only in World Famous Park Tool Blue. Says I need to write at least 50 words for this review. 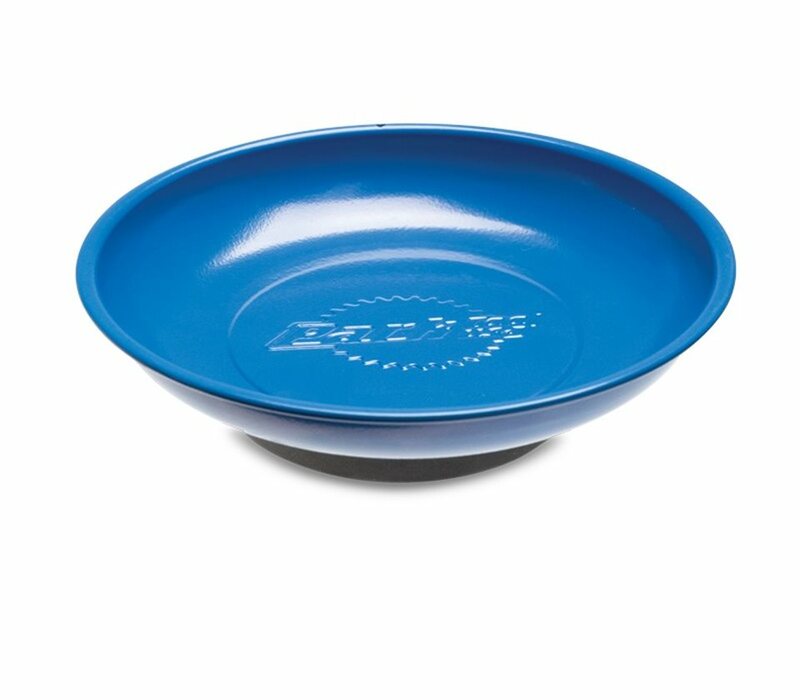 So what can I say, its blue, its a bowl, and its magnetic. Shoot that is only 25 words. Its made by park tool, likely manufactured in China or Taiwan. Could be used to hold screws while working on your bike. Not recommending for soup or cereals. But would probably be ok for a small puppy to drink from. Park Tool powder blue. Magnetic tray is great for my bike workshop area. Thousands of uses for the tray. I bought this little magnetic bowl to hold and clean little parts of my bike, pads, bearings, bolts, etc.. I use it all the time. I love it. Magnetic and holds your bits and parts while working on your bike. Should of bought one of these years ago before I lost all those small parts. Really surprised by how strong the magnet is and the bowl is a convenient size.